If you are planning to put your property on the market, obviously the goal is to sell it as quickly as possible. That way you don’t waste time and money by having your property sit on the market. Here are five quick and easy tips that will not only upgrade your home, but will also make it stand out and sell faster. This is the cheapest way to help your home look its very best. Don’t underestimate a clean home. Make sure every surface sparkles, every floor is shining, the grout is scrubbed clean, and the windows polished so clearly you can’t even see the glass. All the clutter has to go…end of story! Even if you have to store things in a friends or neighbors garage temporarily, it will be worth the trouble. Clutter makes your home look smaller and gives the impression the home does not have enough storage. Remember, this property is not your home, the more you de-personalize the property the better. You want to make sure that the property you put up for sale is ready for the next family. Nothing will scare some buyers away faster that loud, bold colors. So instead of choosing those bright yellows and reds, go with a nice neutral beige or grey. Also don’t forget about the baseboards and windows/doors! Make sure their trims have a nice fresh coat of white paint. You’d be surprised what a couple of chairs, tables, and candles could do. People have a hard time visualizing where their personal items can go, and simply placing these items can help them picture their future home better. There’s no need to decorate every nook and cranny, but you’d be surprise how far some simple pieces of furniture could go. Last but certainly not least, make sure your home smells clean. A good thorough cleaning will really help, but it may not eliminate odors entirely. Plugin several air fresheners or light a couple of candles throughout the house. You can also spray air freshener on the filter in your AC unit so that the air circulates throughout the home when the air is on. So there you have it. Five quick, easy and inexpensive tips that will help you highlight your homes strengths and downplay its weaknesses to appeal to a much wider pool of perspective buyers. 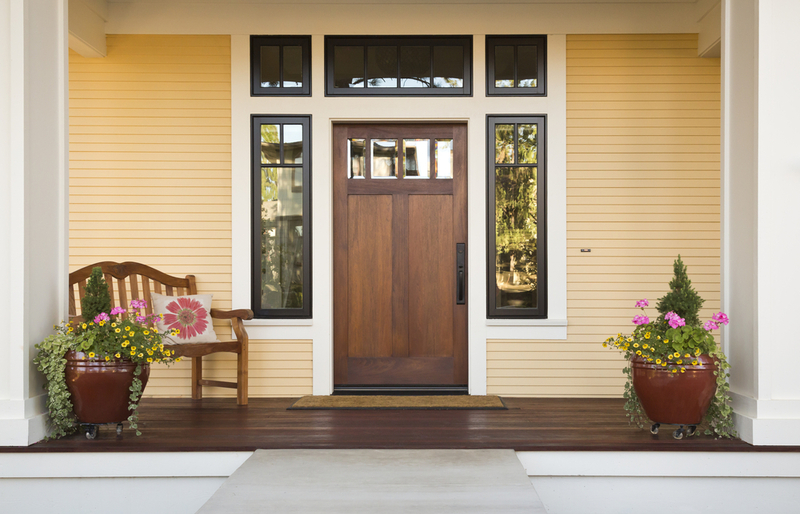 These simple tips will set your home apart from 90% of the other homes on the market, ensuring a quick sale for top dollar.